Color: Sumptuous deep ruby with glints of bronze, a result of its great age. Palate: Confirmation of a long awaited pleasure. The Chateau de Beaulon Pineau Tres Vieux Collection Privee 1982 Ruby 20 Years Old is a very special pineau indeed! 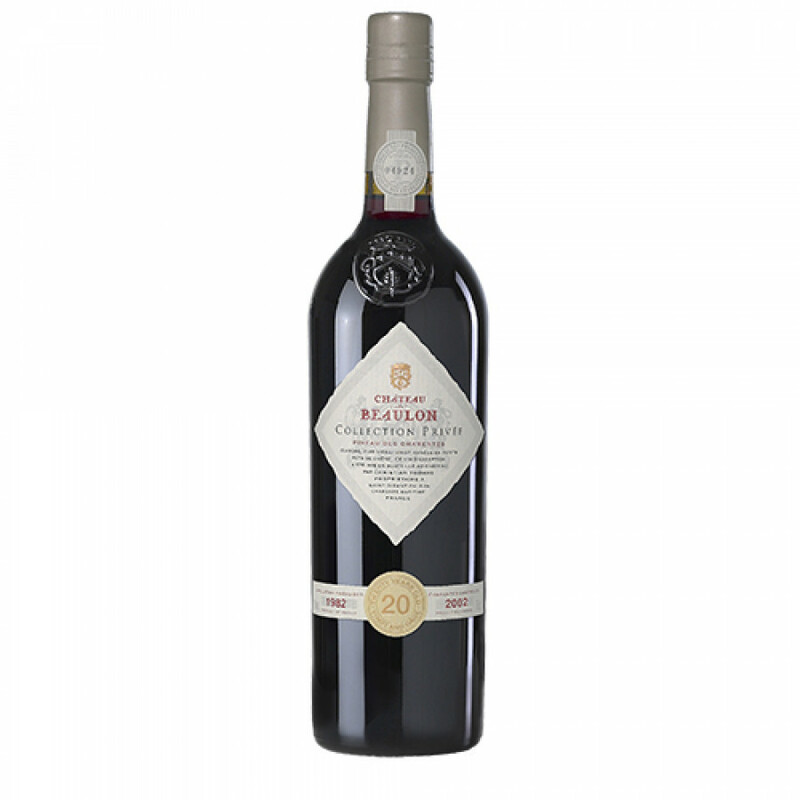 Very rare, it's a multi-award winner that's full bodied and elegant. Cabernet Sauvignon and Cabernet Franc grapes combine to give a taste explosion - one that needs to be tried to be fully appreciated. Try it as an accompaniment to any chocolate dessert, or figs, gingerbread, prunes, or anything with cinnamon. Or it's equally good as an aperitif. Best enjoyed chilled.